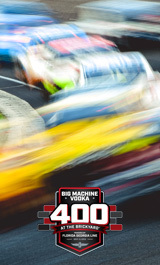 Find and reserve your seats for the Big Machine Vodka 400 at the Brickyard Powered by Florida Georgia Line today before they’re gone! Each seat offers you a unique experience and breathtaking action that only the Indianapolis Motor Speedway can deliver. Reserved Seats also grant you access to General Admission areas throughout IMS. The most affordable way to enjoy the Big Machine Vodka 400 at the Brickyard Powered by Florida Georgia Line is with General Admission. Enjoy the race from numerous available locations within the Indianapolis Motor Speedway infield. Don’t forget children 15 & under are free with a paid Adult General Admission ticketholder. Get close to the action at the Big Machine Vodka 400 at the Brickyard Powered by Florida Georgia Line with pre-race Pit Passes at IMS. Guests 18 years of age and older can purchase this pass to roam the pits during pre-race and maybe snap some great photos of your favorite NASCAR drivers. Reserve your seats for the Indiana 250 to watch the young stars of the NASCAR XFINITY Series battle at IMS! Each seat offers you a unique experience and breathtaking action that only the Indianapolis Motor Speedway can deliver. Reserved Seats also grant you access to General Admission areas throughout IMS. The most affordable way to enjoy the Indiana 250 and NASCAR Qualifying is with General Admission. Enjoy the race from numerous available locations within the Indianapolis Motor Speedway infield. Don’t forget children 15 & under are free with a paid Adult General Admission ticketholder. Various hospitality options at the Indianapolis Motor Speedway provide the most spectacular views, unmatched service and experiences to you and your guests. Enjoy great food, premiere beverage options and exciting on-track coverage with daily and weekend packages available. Purchase your tickets now for the the 2019 FGL Fest at the Indianapolis Motor Speedway. Featuring Florida Georgia Line, Dan + Shay, Nelly, Mitchell Tenpenny and many more! Brickyard weekend has stretched into five fantastic days of racing action with the arrival of the Driven2SaveLives BC39 powered by NOS Energy Drink on Wednesday, Sept. 4 and Thursday, Sept. 5 at The Dirt Track at IMS located inside Turn 3. Enjoy a day at IMS and witness all of the work and preparation that goes into starting for the Big Machine Vodka 400 at the Brickyard Powered by Florida Georgia Line. Bring your friends and family out to see their favorite NASCAR XFINITY Series drivers prepare for Race Day. Kids age 15 and under are free with a paid adult ticketholder! Enjoy a day at IMS and witness all of the work and preparation that goes into starting for the Big Machine Vodka 400 at the Brickyard Powered by Florida Georgia Line. Bring your friends and family out to see their favorite NASCAR drivers prepare for Race Day. Kids age 15 and under are free with a paid adult ticketholder! Take the family out for an amazing experience at the Big Machine Vodka 400 at the Brickyard Powered by Florida Georgia Line with the Family Package. This package offers a family discount in the Southwest Vista, H Stand and A Stand. FanVision gives you unprecedented freedom to shape your own race day experience on a dedicated, super-fast network. Complete with live race broadcasts, multiple in-car cameras, driver and team communications, live race stats and more it is the perfect complement for Race Day.